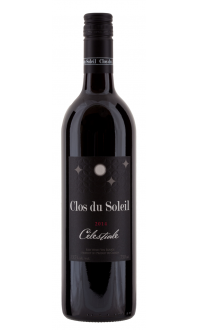 Clos du Soleil's Estate Reserve wines are the pinnacle of our portfolio of wines, and are designed to showcase the very specific and unique terroir of our Estate Vineyard on the Upper Bench of the Similkameen Valley. This 2012 red Estate Reserve is a highly perfumed and expressive wine, displaying a layered complexity. Nose: On the nose the wine offers beautiful violet and other floral notes, followed by ripe fruit aromas, dominated by raspberry and blackberry, on a background of cedar and exotic spice. Mouth: On the palate the wine is fresh and lively, first showing juicy, fresh raspberries, blackcurrant, flinty stoniness, and spice. The wine is mouth-filling and rich with fine tannins, while maintaining a sense of elegance and delicacy. The Estate Reserve red is considered the pinnacle of the CdS portfolio. It’s a story of place: British Columbia, Similkameen, Keremeos, the Upper Bench. Only 4 barrels or just under 100 cases were made in terrific 2012 vintage. The blend 53/27/13/6/1 cabernet sauvignon, merlot, cabernet franc, petit verdot and malbec. The nose is enticing, offering savoury, almost perfumed floral/violet notes that preview a silky, stony, nuanced, red wine. The palate is a mix of fully ripe fruit raspberry and blackberry fruits with that late-day, sweet spice of the Similkameen Valley. Juicy, stony, complex and spicy all at once, it has the elegance to draw you back into the wine. Still young and putting on weight this is a wine for the future. The wine spent 17 months in 100% French oak barrels; it was bottled unfined and unfiltered.